Hello all! 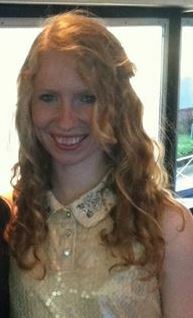 My name is Sarajane Rodgers and I’m a postgraduate student studying Psychology at the University of Limerick! I am from Broad Run, Virginia, which is an hour out from Washington, D.C. without traffic, three hours with traffic! I graduated from Bryn Mawr College this past May where I studied Psychology and Theater. I absolutely loved going to a women’s college and feel impelled to add an unofficial minor in feminism whenever I talk about my undergraduate experience. What things do I like to do besides pretend that I have more minors than are actually written on my transcripts? I love dancing – all types of dance, theatre, volunteering as an EMT, emailing my family about five times a day, yoga, reading about Oliver Sacks, and training for the Paris Marathon! I’m currently part of Dance UL and the Sailing Club. I’m also a Mormon, so I do a lot of things with my church, including teaching a Sunday School class for six and seven year-olds. It is my first time having my own kitchen so I’ve been experimenting with yummy recipes as of late. I made the most delicious vegetarian meatloaf the other day! If you have any questions about being an American in Limerick, trying to find your place as a religious minority in Ireland, or simply want my vegetarian meatloaf recipe, just send me an email at 13009613@studentmail.ul.ie. I’d love to answer any and all questions!